The Wilhelm Raceworks oil pan baffle for the 2GR-FE V6. Designed to prevent oil starvation due to hard cornering, while being both cost effective and easy to install. Consists of laser cut steel baffles with rubber oil control flaps. Data from my own track and autocross sessions with the 2GR-FE has shown oil pressure drop on right hand turns, which this helps to correct. I recommend over-filling the pan by about a half quart (1/4" to 1/3" on the dip stick) for best results. See this article for more detailed information. 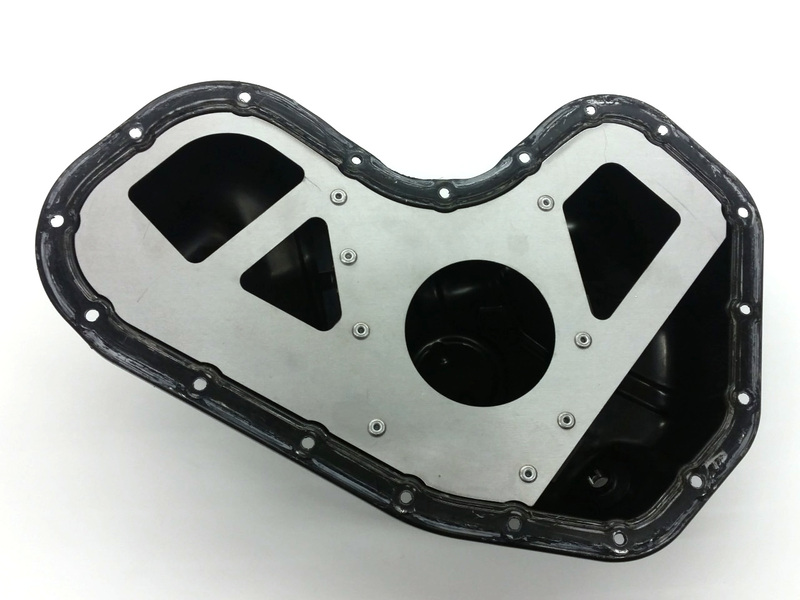 The baffle is designed to be a close fit to both the upper and lower oil pans. This enables it to be fixed in place with a bead of RTV around the perimeter of the upper baffle. 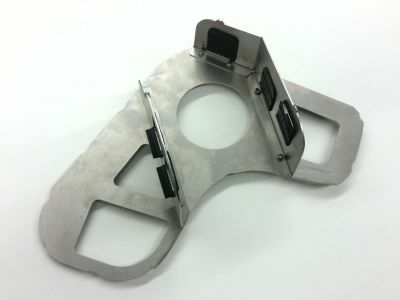 Welding is not required, although the baffle can also be welded in place if you have the means and desire to do so. 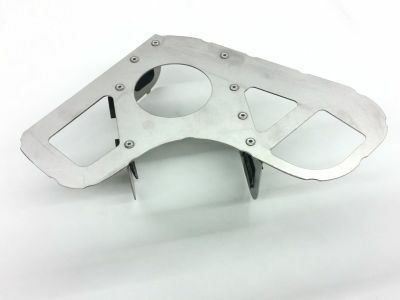 Due to it's size, shipping cost on the baffle is a little higher than one might expect, particularly for my international customers. If you want to save a few bucks on shipping I can ship it disassembled (you install the rivets). This also allows it to combine more easily with other items for even greater shipping savings. I also knock a few bucks off the price since I don't have to assemble it. One of my customers made this very nice video showing the assembly and installation process. Thanks Russ!